We’ll take care of the details while you focus on your time together! Love hiking and yoga? Let’s do both! Practice on a mountaintop in the stunning Blue Ridge Mountains or near a pounding waterfall. Private hikes available! We’ll send the relaxation to you! Whether you elect for table massage at your rental for your girl’s getaway or would like chair massages set up at your next corporate event, we have you covered! Choose from a wonderfully unique menu of experiences for your next group getaway in Asheville. From henna tattoo, essential oils, yoga hikes, and more. Enjoy a 2 mile round trip hike plus an hour of yoga on the summit just 30mins from downtown Asheville! Take time to browse our most unique local shops as you learn about Asheville’s fascinating history along the way. Tea | Yoga | Sound Healing and more! Enjoy a private group yoga session at your rental, a local studio, on a mountaintop, or in the serene Botanical Gardens. Unplug and unwind as you reconnect with yourself immersed in the beauty of our lovely Blue Ridge Mountains! Enjoy a 2 mile round trip hike to panoramic views plus an hour of yoga on the summit or choose a 3 mile round trip hike to a stunning waterfall with an hour of yoga in the forest along the way. Half Day. Enjoy a private group yoga session at your vacation rental or location of your choosing with an experienced local instructor. This is especially great for bachelorette groups, team building, corporate retreats, wedding parties, and weekend visits. We’d love to help you celebrate your time together! Perfect for bachelorette parties, corporate events, girls getaways, yoga retreats, and more. “Wellness” is a wonderfully broad concept and Asheville is the perfect place to explore what this might mean for you. We support you in crafting an experience that is lighthearted/fun (burlesque dancing, yoga hikes, massage), deep/meaningful (women’s circles, sound healing, tarot readings), or something in between! What do you have in mind? A walking tour with a wellness twist! History | Yoga in the Park | Wellness | Local Secrets | And More! Experience Asheville’s eclectic side while learning about this mountain town’s fascinating history with local wellness experts during a 2 hour stroll through downtown. 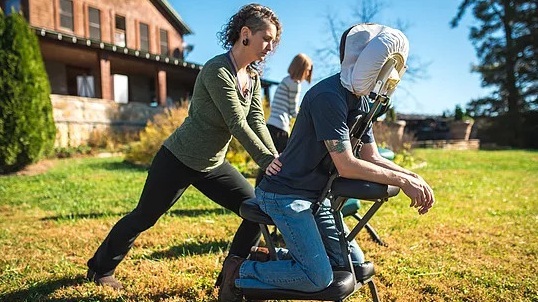 Highlighting some of Asheville’s most unique wellness offerings. Overwhelmed by options? We’ve sorted through the noise for you! Discover rejuvenation, relaxation, and balance. This special tea class will be a presentation of this year's travels in China. 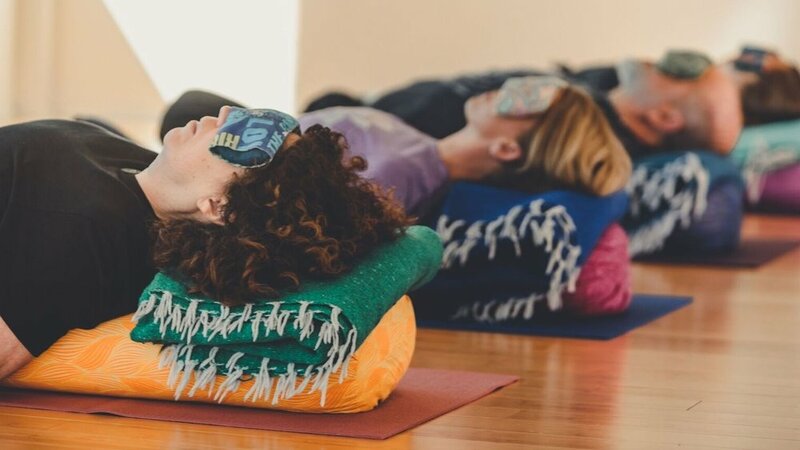 Experience the gentle balancing Reiki Energy as you are serenaded by the healing sound of the Tibetan bowl and deeply nourished inside the salt cave. Yoga + Hiking….two of our favorite things! Take time for yourself, breathe deep, relax, and immerse yourself in the beauty of our lovely Blue Ridge Mountains! Searching for a unique gift idea? Skip the stress of holiday shopping (not to mention the crowds!) and focus on crafting lasting memories instead. We are excited to offer Gift Certificates that can be applied to Walking Tours, Yoga on the Mountain Hikes, and Custom Itineraries for groups. We’d love nothing more than to be part of your time together. There are a plethora of spas in this little mountain town, but finding a spa to accommodate a large group can be tricky. Check out our top spas in Asheville for bachelorette parties. Love is in the air. Flying solo this Valentine's day? No problem. We believe and support all kinds of love: romantic love, friendship love and SELF love. Asheville is known for its vibrant art, architecture, culture, but perhaps above all, it is known for its food and drink. Asheville’s food scene is spectacular, but it can prove tricky to find a restaurant that will accommodate a large group. We are here to help! Did your bestie just get engaged? Is she hoping to combine the two best things - friends and travel? Help her dreams come true by planning a Destination Bachelorette Party using these steps. Need help keeping the holidays bright? We’ve got 5 Holiday affirmations to help you to stay centered this season. On a cleanse, pregnant, in the role of designated driver? No matter the reason for a night without alcohol, we all deserve beautiful garnishes and elegant stemware! Here’s one of our favorite recipes plus some of the best mocktails in town! A look behind the scenes of a private group yoga hike we organized for a girls getaway last weekend including big views, a tasty picnic spread, and an hour of yoga on the mountain. We loved hosting this group! Yoga + hike with cows at Bearwallow Mountain. A behind the scenes look at our first ever Sip & Stretch event hosted at Ginger’s Revenge. We started with an hour of yoga with the hilarious Alexandra Moody, enjoyed free archetypal anointing sessions with Katie Vie of River Island Apothecary, and rounded out our morning with a tasty ginger beer from the creative, ever-changing tap list.